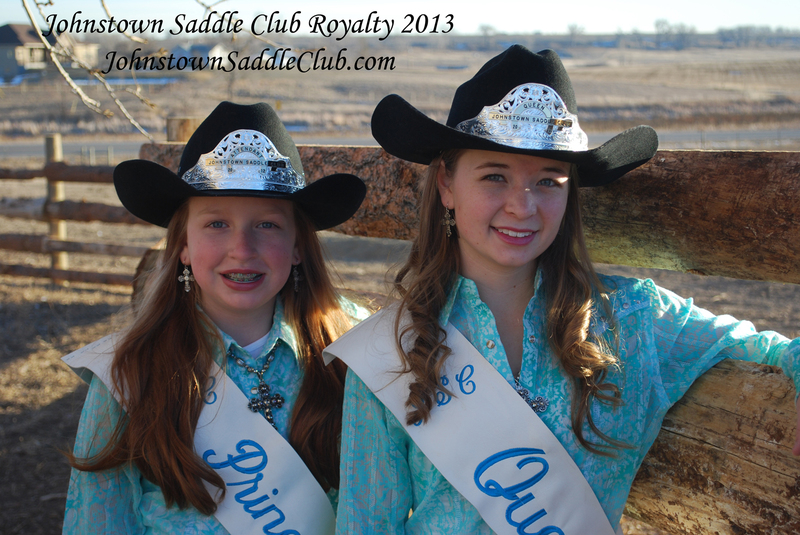 The 2013 Johnstown Saddle Club Royalty was represented by Savanna Seat, and Trinity Payne. Thank you girls for a great year. 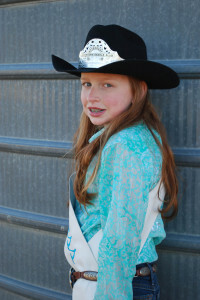 Hello, my name is Savanna Seat and I’m delighted to be the 2013 Johnstown Saddle Club Queen. My horse Diah, and I will do our best to represent the club in shows, gymkhanas, and parades. I enjoy participating in all types of horse back events including hunter jumpers, gymkhana, and Western and English shows, ranch horse, and trail. When I’m not riding, I enjoy participating in 4-H, soccer, Berthoud High School band, and spending time with friends. 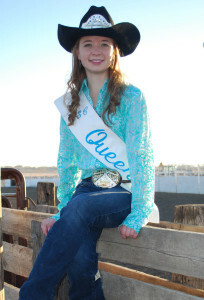 I’m proud to have been in the Johnstown Saddle club Royalty twice before and am very excited to spend my last year of Johnstown Saddle Club as Queen. I hope to see everyone at the events! Happy Riding! Hello, my name is Trinity Payne. I am ten years old. I have been riding for a couple years. The reason I started riding is because my dad’s parents had a horse that I loved. His name is Luke and he’s a fourteen-year-old Quarter Horse. I love him so much, even though he is very stubborn. I also have a sixteen-year-old Red Dun Quarter Horse named Kizmet, but I call him Kizzy. I currently compete in Show and Western Pleasure. I attend Namaqua Elementary and I’m in 5th grade. I’m a straight A student, and in a gifted and talented reading, spelling, and social studies class. The extracurricular activities I enjoy other than riding horses are piano, Odyssey of the Mind, art, swimming, cooking, and writing and illustrating my own stories. Friends and family say that I’m a friendly, sweet, kind, and amazingly talented spirit. My goal was to become princess because I want to be a positive influence and help new and younger members, as well as the community. I look forward to meeting you and I hope we have a fun summer together.